Don’t worry…it’s not the age old debate regarding the anthropomorphization of dogs…just a simple question. You’re darn tootin’ we should……! Indeed, George would like it to be known that taking a pee break in -35C temperatures (with the windchill) is just that little bit more bearable when he does…! So there…we’ve been told…! 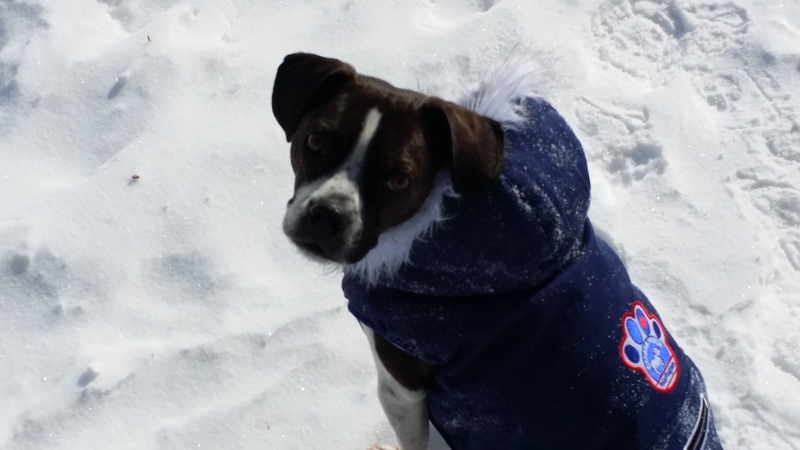 This entry was posted in Dog Walking Resources, Dogs, Musings, Nature, The Universe and tagged -35C, anthropomorphization, dog clothes, dog coats, dogs, parkas, pee break, temperatures. Bookmark the permalink.